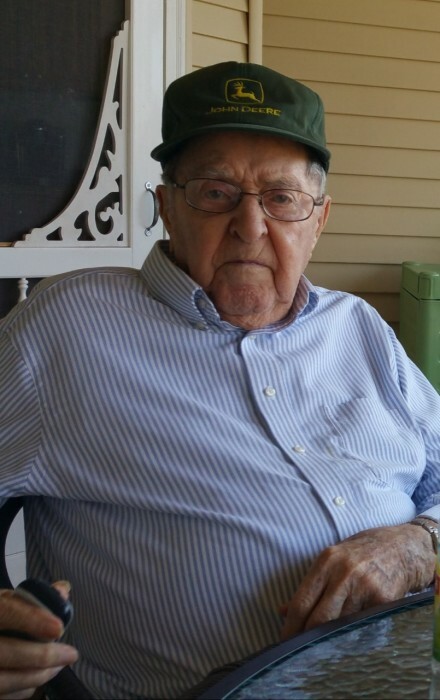 William “Bill” O’Neal, 96, of High Ridge, Missouri, formerly of Carthage, passed away at 3:10 P.M. Wednesday, March 27, 2019, at Delmar Gardens in Fenton. Bill was born January 23, 1923, the son of Robert Lee and Helen Ruth (Geddis) O’Neal on the family farm near Carthage. He graduated from Carthage High School in 1941. He enlisted in the United States Army Air Force in 1942 and served during WWII in China, Burma and India. He received his Honorable Discharge on December 9, 1945. On June 12, 1948, he was united in marriage to Marilyn R. Brooks in Carthage. She preceded him in death in 2011. Bill was a founder and co-owner of R. L. O’neal and Sons Quarry in Plymouth for many years. Bill enjoyed reading and time with friends at the coffee shop. He was an outstanding trap-shooter competing and placing at the state and national level for many years. He was also an excellent mechanic on large engines. Bill is survived by his son, Robert A. (Lori) O’Neal of High Ridge, Missouri; three grandchildren, Michael (Tiffany) O’Neal, Matthew O’Neal and Melissa (Levi) Banker; and also nieces and nephews. He was preceded in death by his parents; wife, Marilyn; an infant grandson, Steven; and three siblings, Robert G. O’Neal, Betty O’Neal and John C. O’Neal. Funeral services will be held at 10:00 A.M. Wednesday morning, April 3, 2019, at Printy Funeral Home in Carthage with burial to follow in Moss Ridge Cemetery in Carthage with military rites. Visitation will be held Tuesday evening from 7:00 – 9:00 P.M. at Printy Funeral Home in Carthage. Memorials may be directed to Hancock County Gun Club or Safe Harbor Animal Refuge. Printy Funeral Home of Carthage is in charge of arrangements.